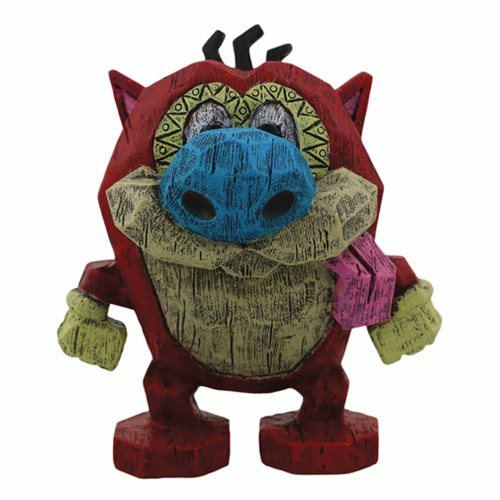 Enjoy some throwback fun with 90s Nickelodeon Eekeez figurines from Foco - like this adorable Ren & Stimpy Stimpy Eekeez Mini-Figure inspired by one of the stars of the animated TV series The Ren & Stimpy Show. Each exceptionally detailed polyresin figure stands 4-inches tall and comes in window packaging. Ages 13 and up. Be sure to collect all of Series 1, which includes CatDog, Arnold, Tommy Pickles, Chuckie Finster, Stimpy, Ickis, and Krumm (each sold separately).